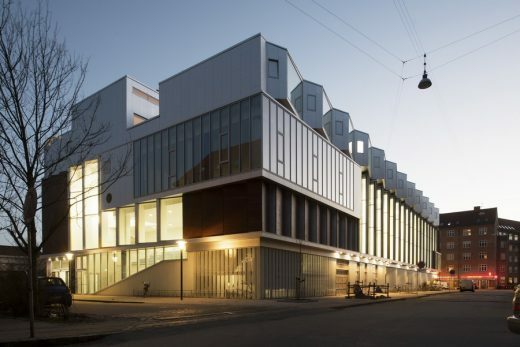 SH2-Sundbyoster Hall II is an architectural 3-in-1-solution integrating grocery store, sports hall and housing units in one building located in the district of Amager in Copenhagen, Denmark. 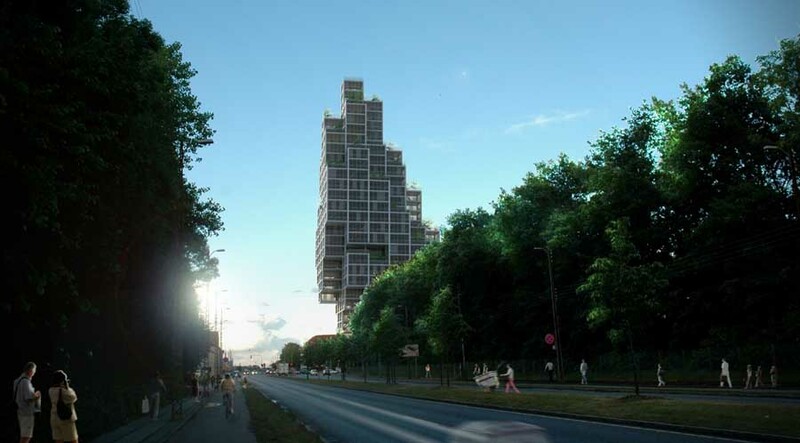 It is a visionary solution for building in dense and complicated city environments. 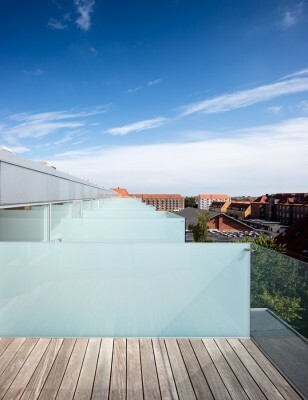 glass façade on the second floor ensures pedestrians and neighbours a direct view of the activities in the sports hall. It creates a connection between the building and the surrounding city. The hall is open to public, spans over two floors and is highly adaptable to different types and sizes of events and sports. Each of the functions is expressed by a unique use of materials, all part of the collective collage. 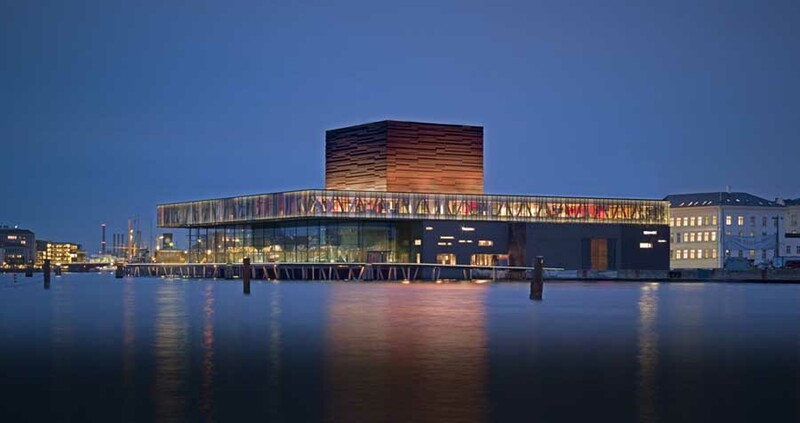 After nightfall the pleated red-gold wooden facade will appear glowing in the escaping lights from the vertical ribbon windows that hit the warm tinted wood. 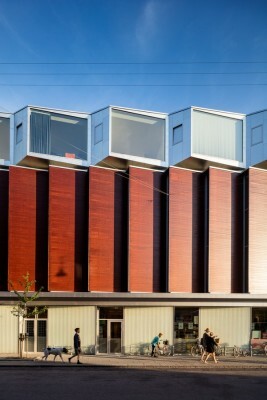 At daytime the ribbon windows lets a pleasant reflected daylight into the building. 12 apartments make the top of the building with an aluminium covered bay window from floor to ceiling and each containing its own private atrium and rooftop terrace. A new typology has been created: Courtyard houses on the city’s roof. 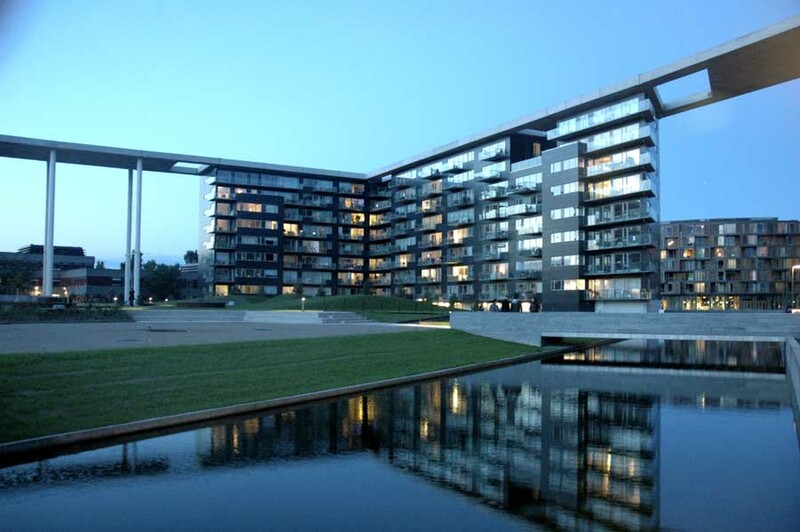 The apartments are an alternative to the classic villas and contribute to a diverse demographic composition in the area. 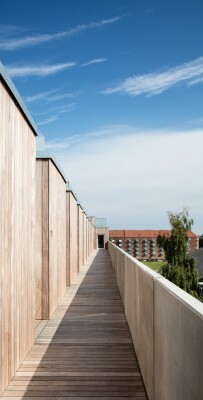 In this way the complex programme of the building both adds to and integrates existing functions of the neighbourhood.